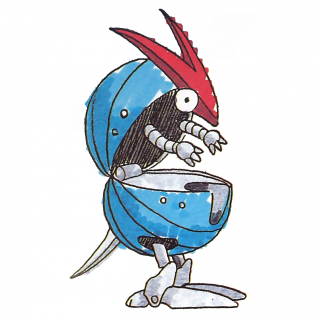 RollerMedia:Sonic1 MD US SonicJam manual.pdf, called Arma (アルマ) in the Japanese manualMedia:Sonic1 MD JP manual.pdf, is an armadillo-like Badnik found in Spring Yard Zone in the Sega Mega Drive version of the original Sonic the Hedgehog game. They are enemies which curl in a ball and attempt to run you down. They are invulnerable at this time and can't be attacked until they stop and unfold. If they are left alone they will roll up and move off the screen. If their path of travel is interrupted by a large gap they will jump over it. There is a common fan interpretation that they are the Badnik version of Sonic as they are a similar color and move as fast. Rollers return in Mirage Saloon Zone from Sonic Mania, with a new yellow and red color palette, slightly resembling Mighty the Armadillo, and with a similar pattern to the original, however the player can bounce these Badniks when in Spin Jump form. Roller in Sonic the Hedgehog. This page was last edited on 28 September 2018, at 15:33.